DO YOU KNOW WHO YOU ARE AND WHAT YOUR PURPOSE IS? 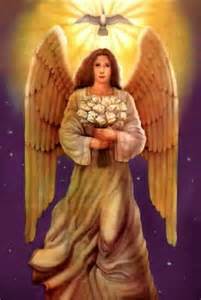 Archangel Gabrielle says it requires a willingness to stop, listen, and reflect on your feelings, to let go of falsehood, and to shift into your beautiful hearts. Channeled by Genoveva Coyle. Greetings my beloved brothers and sisters! Greetings! 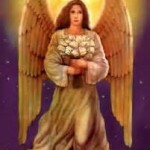 I AM Gabrielle, I AM Archangel and Lily of Love, Trumpet of the Truth, Messenger of the One, and in service to the Mother. Yes, I AM Administrator of Heaven’s Warehouse, Defender of the Throne, in charge of communication at all levels in bringing forth the news and the truth, and so much more! I do wear many hats, and the reason I bring and declare all these self-attributes to your attention is because it applies to you as well! All of you here have so many talents and ways of bringing in and anchoring the love of Mother and Father on this beautiful planet Earth. You want to know “how-to,” sometimes you want to box yourselves into definitions and label the boxes with descriptions of who you believe you are, and what your understanding of your purpose might be at this time. And I am saying to thee to focus on being your true and authentic selves, right now and always. If you believe you do not know with certainty who you are, then the way to get there and discover who that true self is is by being loving, kind, and considerate in every moment to everyone…but mostly to your dear selves. It requires a willingness to stop, listen, and reflect on your feelings when you are being triggered, preferably before any reaction takes place, to let go of the falsehood, and to shift into your beautiful hearts. Even if one of those knee jerk reactions has already taken place, it is still suggested to pause post-factum and analyze briefly your emotions and feelings, and then attempt to bring resolution, forgiveness, and healing rather than glossing over what just happened without paying enough attention to the smallest detail. 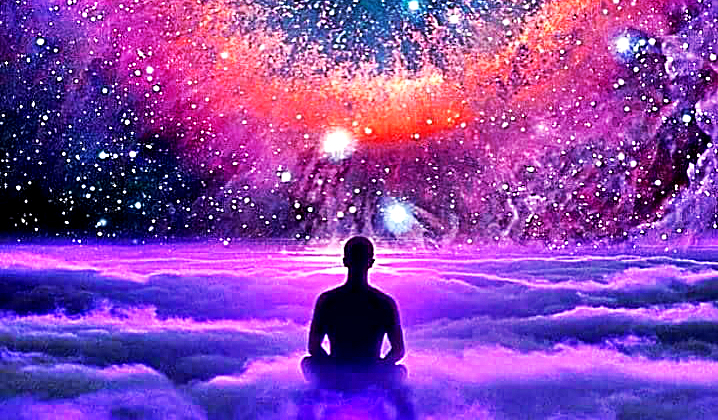 This is where you are, most of you, dealing with the smallest details and dust specks, removing and refining, so that you can emerge as this bright New You! Let go of falsehood swiftly and move on. Hold on to the truth and to peaceful feelings. Be in integrity with your sacred heart always, no matter what. It is the easiest and most graceful way to proceed in these times of transition. Allow yourselves to just be – loving – for this is your natural state, and see how easily more inspiration and creativity comes to you. When you follow this love flow and the direction in which the light is pointing, you will uncover so many talents that you never knew you had. And there are times when you will be nudged to get an essential piece of self into that puzzle of your multidimensional being. And so you will be propelled into a completely new level of beingness, starting exciting work and adventures that you would never have dreamed yourselves as being capable of taking on. But, for the most part, you are already doing everything that you have promised, right where you are, and that will only expand and change shape, or require a sharper focus in other arenas, depending on your preferences and joyful choices. Keep going dear hearts, for as you have heard clearly, the light and love has won! Congratulations! I will leave you now with my golden love and joy! Farewell!